Maybe you’ve used Google Street View to take a look at your own house or your dream vacation destination, but now its geographical scope has expanded even farther—you can use the site to explore the International Space Station. 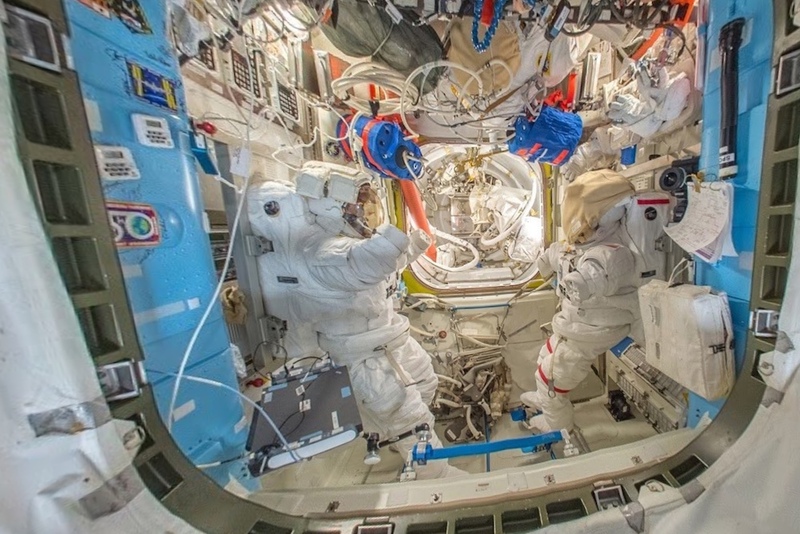 The new feature includes dots that bring up notes when clicked, explaining everything from how the astronauts stay healthy by working out, to what kind of experiments they conduct on the station and what foods they regularly eat. Users can jump between the International Space Station’s 15 connected modules on Google Street View. The new feature was put together using DSLR cameras and equipment that were already on board the ISS.